The 19th century gave us some of the best work on mythology, but much of it has been ignored over time. Since around the 1960s, when excitement was at its peak regarding space travel and the moon landing, a generation decided to look at mythology in a new light, giving way for the ancient astronaut theory. While a lot of good has come of it, many mistranslations have also plagued it. These are just a few prominent examples. And it came to pass when men began to be numerous upon the earth, and daughters were born to them, that the sons of God having seen the daughters of men that they were beautiful, took to themselves wives of all whom they chose. And the Lord God said, My Spirit shall certainly not remain among these men for ever, because they are flesh, but their days shall be an hundred and twenty years. Now the giants were upon the earth in those days; and after that when the sons of God were wont to go in to the daughters of men, they bore children to them, whose were the giants of old, the men of renown. The gibbōrīm, “mightie men,” (NT) the “men of renown,” termed gigantes in Greek and anglicized as giants in the Septuagint (LXX) are the transliterated Hebrew word nephīlīm. The term is related to the Hebrew naphal, meaning “to fall,” but is not the same word. 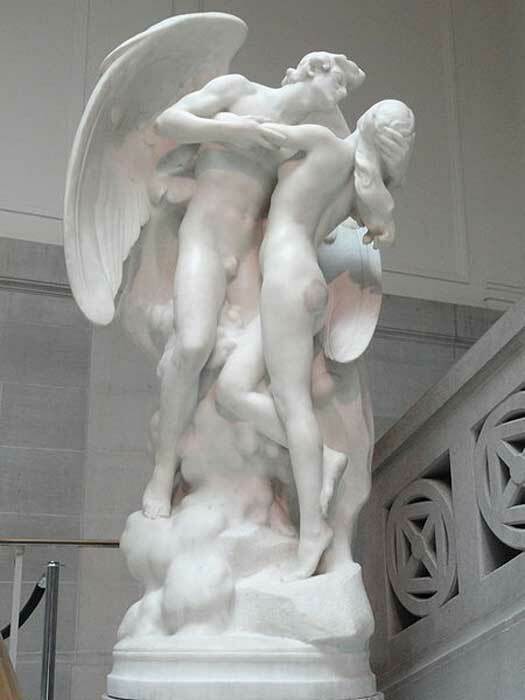 Such mistaken interpretations have led to the assumption of many that the Nephilim were the fallen angels who allied alongside Lucifer during the rebellion. Other giants include Emim, Rephaim, Gibborim, Zamzummim, Anakim and Ivvim. These were all different tribes of giants, not fallen angels or gods. In both, translator E. A. Speiser clearly states Nibiru is Jupiter and L. W. King states the same in his translation. Nibiru derives from eberu, “to cross,” from which Sitchin dubbed his Nibiru as the “planet of crossing.” But the cross is that of the zodiac, upon which is the celestial Sun. The alleged orbit of Sitchin’s planet is 3,600 years. The number is a sar, the Sumerian unit of time equal to 3,600 earth years, generated by multiplying 6 by 10 (pur), arriving at 60 (soss); 60 X 10 gave 600 (ner), and 600 X 6 = 3,600 (sar). 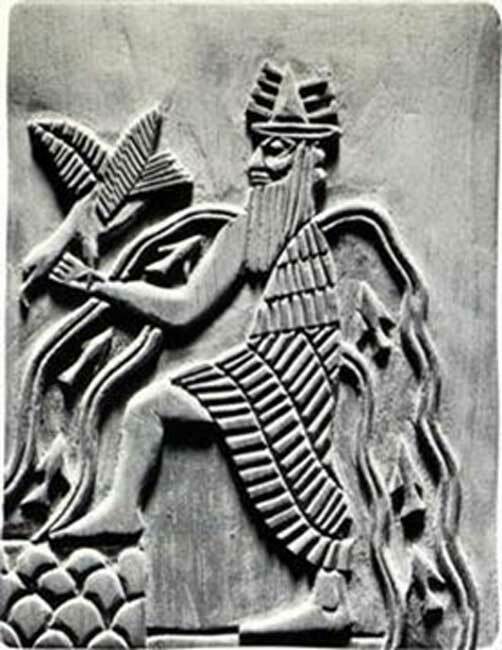 Nowhere in the creation epic does it associate this figure with Nibiru and nowhere else in Sumerian mythic literature is Nebiru mentioned. 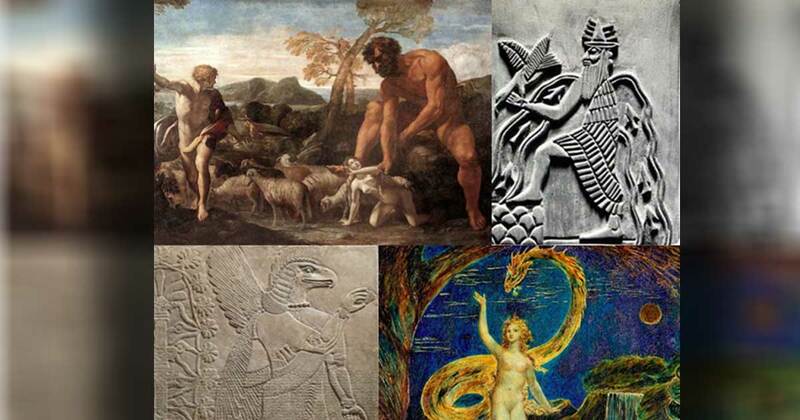 Thus, Anunnaki is simply a Sumerian term for the gods , who did not come from another planet. The assumed consensus has always been the image of the serpent handing Eve an apple, but the Bible (or any other source for that matter) does not mention an apple at all, but uses the generic term “fruit,” which obviously could mean any fruit. The association was made in the early history of the Church using a paronomasia when preaching to the ignorant masses. In Latin, the word for “bad” is malus and the word for “apple” is malum. 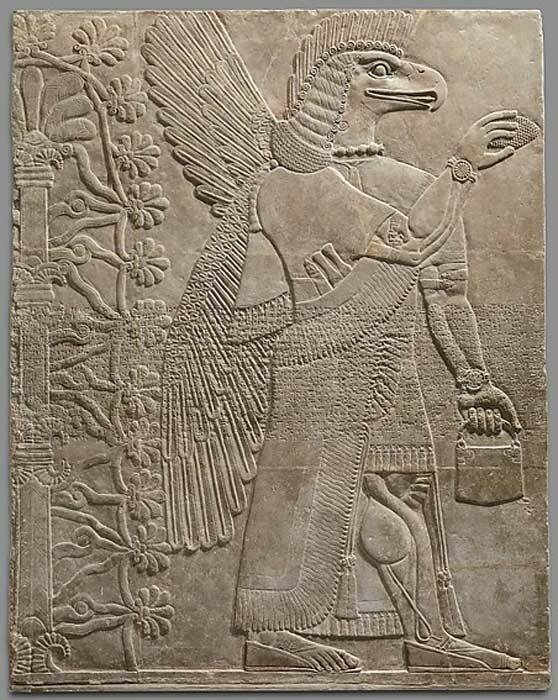 Depictions of the Sumerian Tree of Life has befuddled ancient astronaut theorists, many of whom speculate every few months over what they call “ handbags.” The Assyrian bas-relief from the walls of the Northwest Palace of Ashurbanipal II (reigned 883-859 BC) at Nimrud (ancient Kalhu), c. 870 – 860 BC, shows two Apkallu gods flanked, each with a pinecone and a situla (water bucket), representing the food and water of immortality. This simple yet definitive answer was known to the mythologists of the 19th century, well established decades before the appearance of ancient astronaut theory. Priscilla Vogelbacher is an independent, autodidact fine artist, writer and researcher. She is the author of ‘ Hallowed Be Thy Name: Lucifer, Origins & Revelation’ , available on Amazon and at the Harvard University Library. She has been on shows and podcasts including Midnight in the Desert, Beyond the Darkness, Late Night in the Midlands and The Sage of Quay Radio Hour. Her expertise is Mesopotamian mythology, though she studies the myths and legends of all cultures. For more information and to see her work, visit www.beautifulnightmarestudios.com. Thank you for a very interesting article. Does your book delve further into this subject?